MANILA, Philippines (CNS) — The Archdiocese of Manila officially launched a drug rehabilitation program Oct. 23, with a heavy emphasis on spiritual formation in the wake of the Philippine government’s war on drugs. At the Minor Basilica of the Immaculate Conception in Manila, Cardinal Luis Antonio Tagle celebrated Mass for addicts who surrendered as part of “Sanlakbay Para Sa Pagbabagong Buhay” (A Journey to Starting Life Anew). An archdiocesan statement said the program is for those who surrender and for their families to receive “healing, rehabilitation and restoration” through the church. Father Roberto De La Cruz, head of the restorative justice program at Caritas Manila, told Catholic News Service church officials became most aware of the magnitude of the drug problem in the Philippines capital region after President Rodrigo Duterte was newly elected in May. While running for office, Duterte campaigned on a platform of eliminating crime and corruption. He emphasized the he would kill criminals. He also encouraged private citizens to do the same. 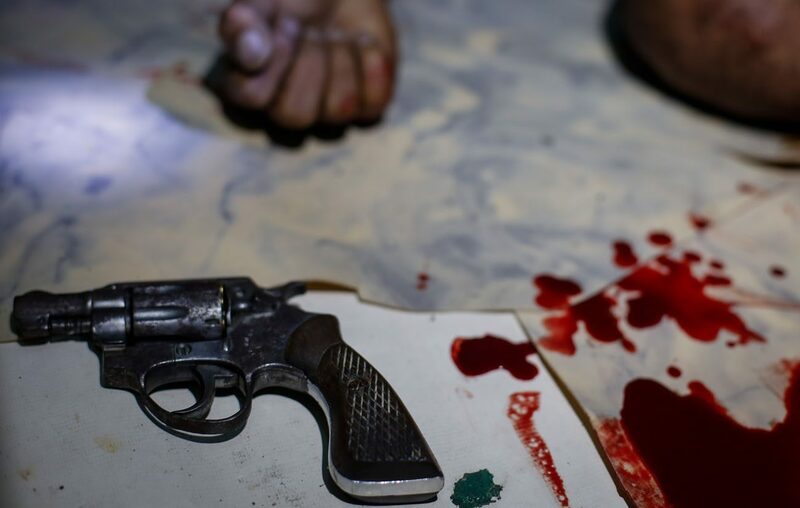 Before Duterte was sworn in June 30, the number of killings of suspected drug dealers and addicts, almost all of them poor, escalated rapidly, with reports of suspects being killed for resisting arrest. The number of vigilante killings also started to increase. At the same time, suspect surrenders swelled to the hundreds of thousands, causing overcrowding at jails across the country. The Duterte administration estimates there are 3 million, possibly 4 million drug addicts and dealers in the country whose population is more than 100 million. Officials say that, since June 30, more than 3,000 drug suspects have been killed and at least 700,000 suspected addicts and dealers turn themselves in to authorities. Father De La Cruz said as the numbers surged, Cardinal Tagle asked his office to look into programs that would help the addicted, most of whom come from some of the poorest neighborhoods in the archdiocese. The priest said his office, working with law enforcement officials, came up with a proposal that approached addiction as not just a medical problem, but also a spiritual one that affects society in general. Father De La Cruz said the program is designed specifically for those who surrender, whether to the church or to law enforcement. He said to discourage addicts from simply seeking sanctuary in a church, the program encourages them to turn themselves in to the village captains or heads of their neighborhood associations. Father De La Cruz said ideally the village captain would then turn the addict over to authorities, and the addict would start church-based rehab. Churches in Manila and four other neighboring municipalities that make up the archdiocese are participating in Sanlakbay. In the neighboring Novaliches Diocese in the northern part of the capital region, a similar program is being spearheaded by one priest.